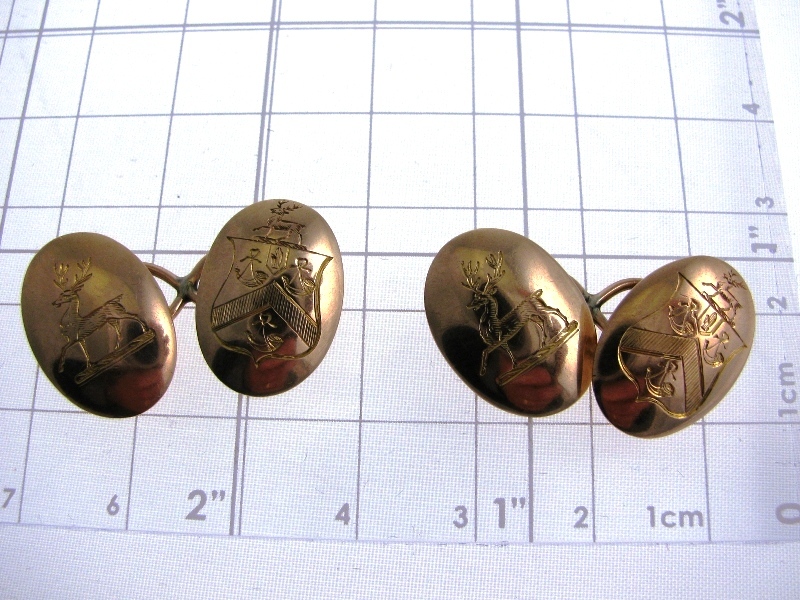 A classic antique pair of 15k yellow gold cufflinks. 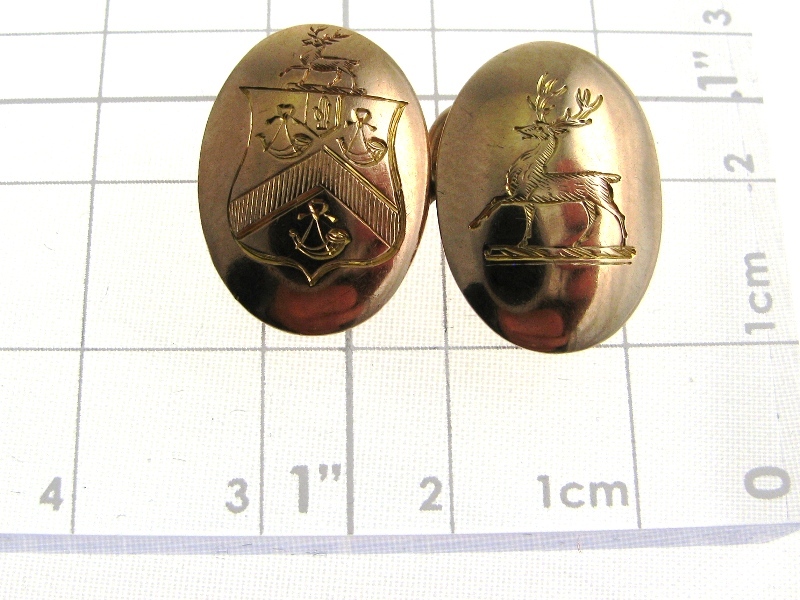 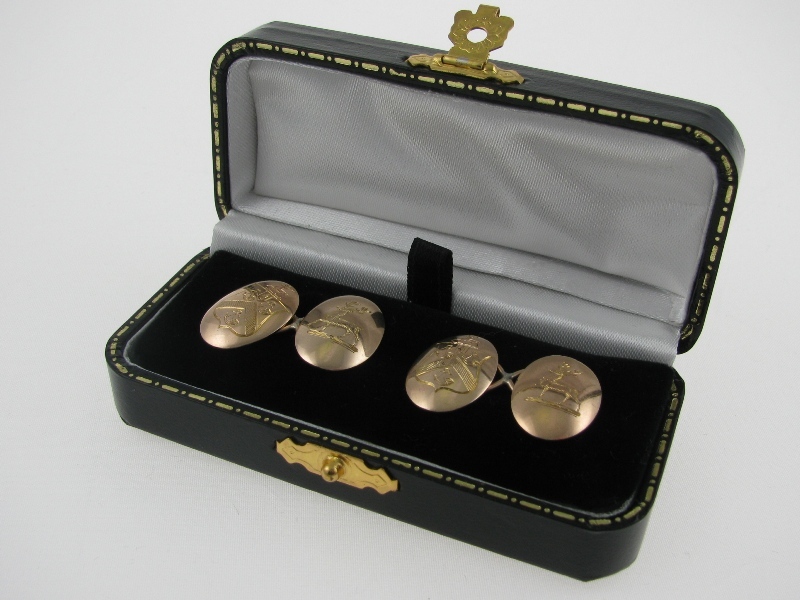 This quality pair of cufflinks are oval shaped engraved with a crest and a deer. A makers mark JW is stamped on the reverse of the cufflinks along with the mark 15k. 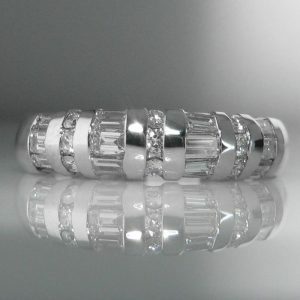 All mark are very clear. 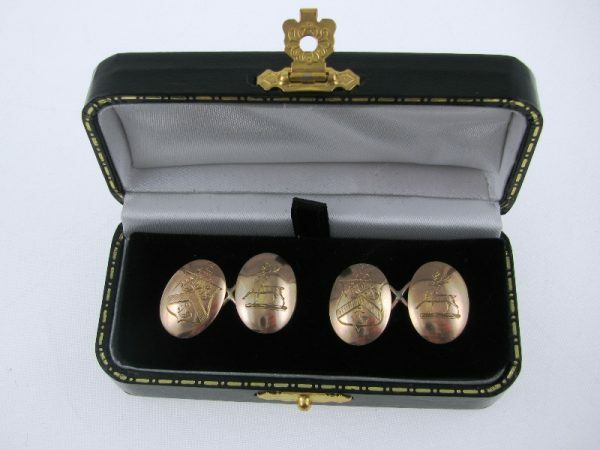 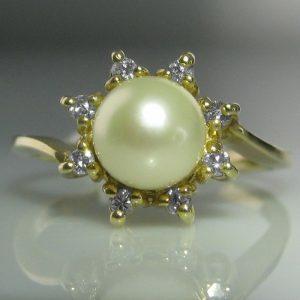 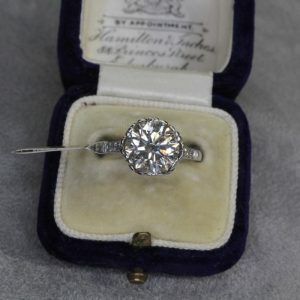 It is rarely a pair of cufflinks of this quality and condition come on the market.